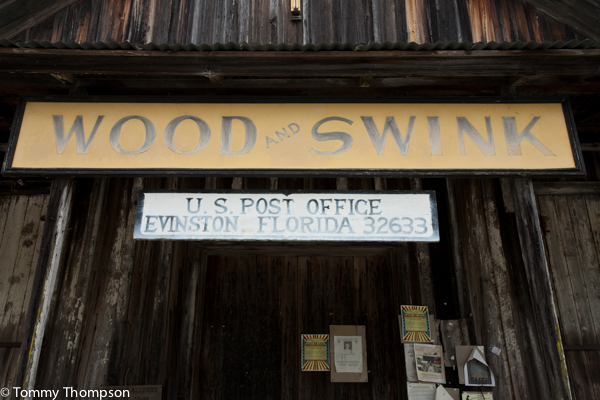 The Wood and Swink Store and Post Office in Evinston, FL is a cultural landmark in Alachua County, Florida. 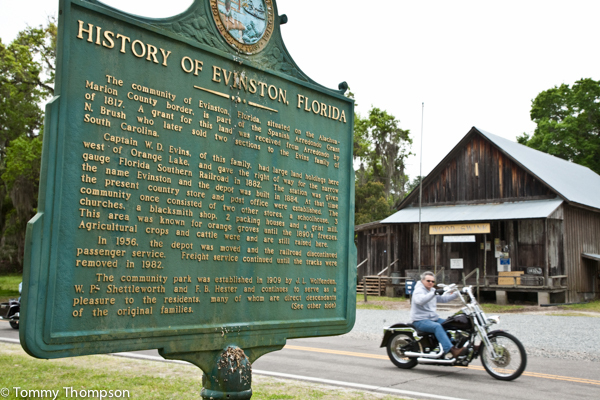 Located in the southern part of the county, almost adjacent to Orange Lake, the building is considered by many to be one of the few remaining examples of “original Florida architecture”. In recent years, the building has gone into a state of disrepair and neglect, and the upcoming Paint Out, October 19-24, is a benefit to help in the restoration. “The small town of Evinston has one of the best preserved historic store/post office buildings in the United States. People from all over the world stop by to see this structure and business that has changed little from more than a century ago. They listen intently to the stories from the local historians and town residents, and enjoy seeing the well preserved counters, cases, and displays still showing some of the older products that were sold years ago. 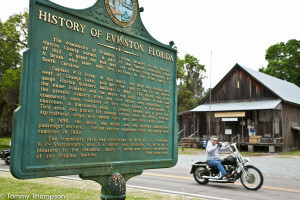 Realizing the importance of the store and post office to this small community, efforts by a number of dedicated towns people and local historians are continuing to see that this valuable historical asset is preserved for future generations. This is the sixth Evinston Plein Air Paint Out event. 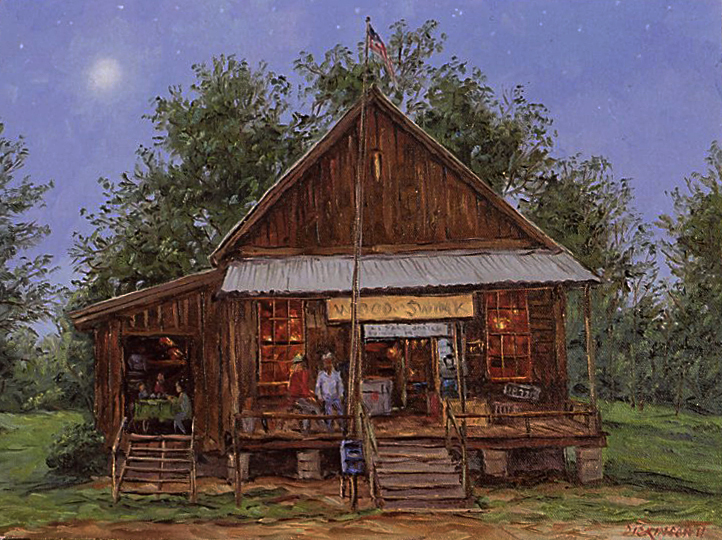 The event as those in the past, brings a number of the state’s best painters to the community to produce exceptional works of art that sell with a percentage of the proceeds used for the preservation efforts of the historic structure. The October event also brings many people to the community who are here to experience the ambiance of the autumn season and see the beautiful environment of the North Florida area.